This was a new concept for us that certainly broadened our science entertainment skills. 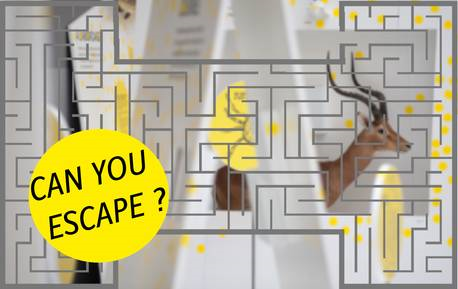 In collaboration with the Musée de zoologie in Lausanne, The Catalyst designed the Escape Game as an accompaniment to the museum’s exhibition Parasites! Like other escape games, participants must use the information in the room and their intelligence to solve a series of puzzles, and finally to escape! Our game asks the potential escapees to become parasites; to infect the exhibition host; and to use the material displayed in the exhibition to proceed through puzzles and the parasitic life cycle to finally escape the host. This was a challenging project that pushed our creative and intellectual skills to the limit, and we’re proud to have created our first escape game. Well, two actually. That run simultaneously in a large room full of interesting details that could be relevant to one escape game but not the other, or perhaps they’re relevant to both and the host is throwing out red-herrings to slow us down so it can finally catch us in a dramatic crescendo finale. Or not. My head is spinning. Un escape game a été mis sur pied par la troupe The Catalyst et T. Jenkins, dans la salle d’exposition temporaire. Les participants se retrouvaient dans la peau de parasites qui doivent s’échapper de l’exposition en moins d’une heure. Grand succès, ce jeu a été réservé 32 fois de janvier à septembre 2017 et a accueilli 334 joueurs.